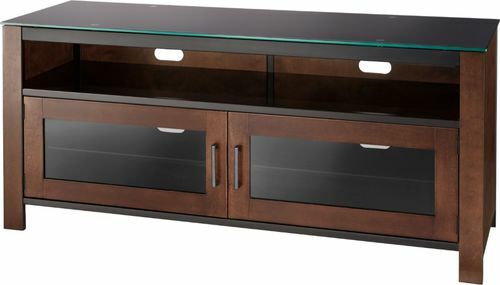 This CorLiving Jackson TLK-883-B TV bench accommodates most flat-panel TVs up to 60" in size and 150 lbs. 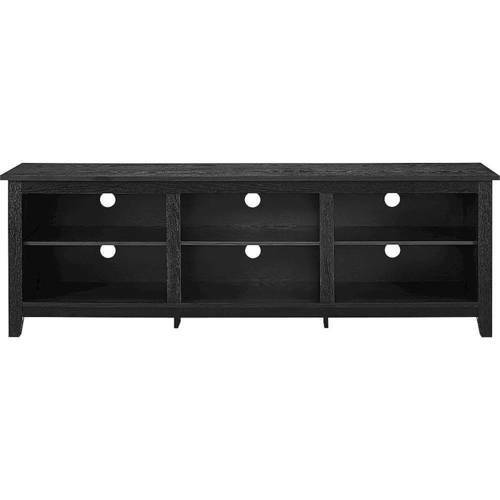 in weight. 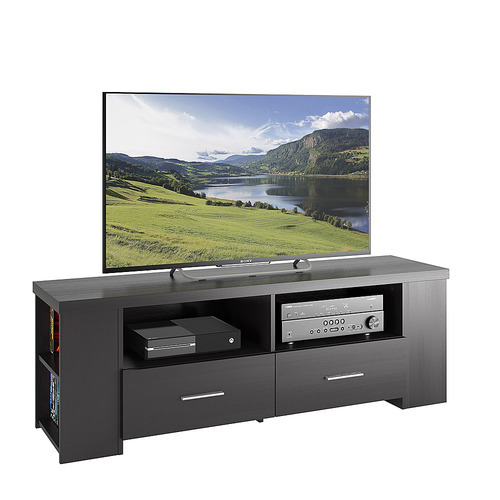 Open shelves provide room for a center-channel speaker and PVR, while a center drawer and 2 glass-door cabinets offer ample storage. 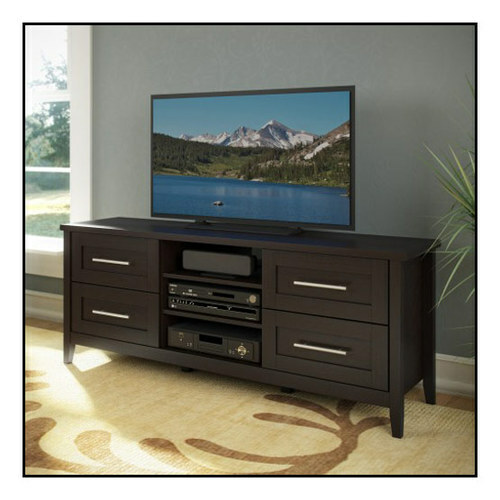 FeaturesHolds most flat-panel TVs Supports TVs up to 60" and 150 lbs. 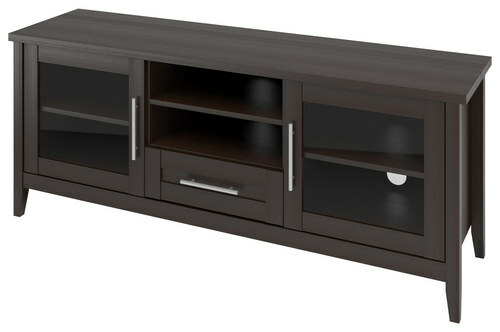 Espresso paper-laminate finish on MDF material With nickel-finished handles creates a stylish appearance. 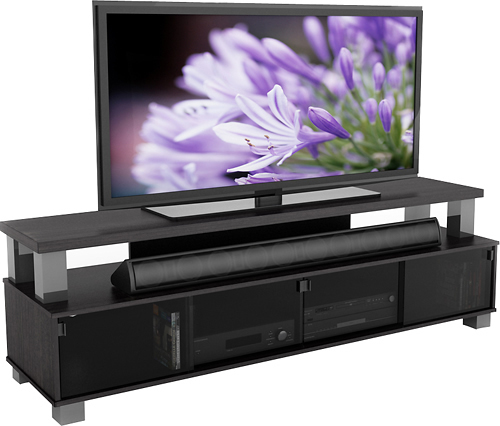 6 engineered wood shelves Accommodate your center-channel speaker, PVR and other components. 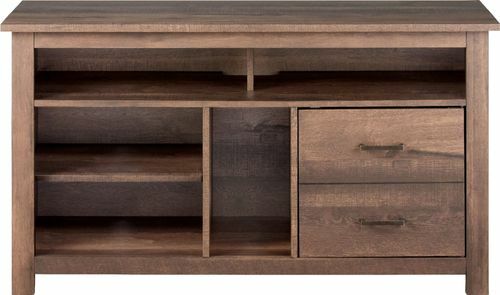 Center pull-out drawer and 2 glass doors Meet your storage needs. 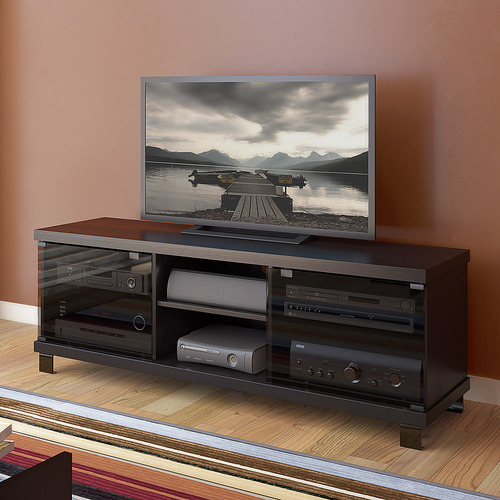 Cable management backing Maintains a neat appearance. 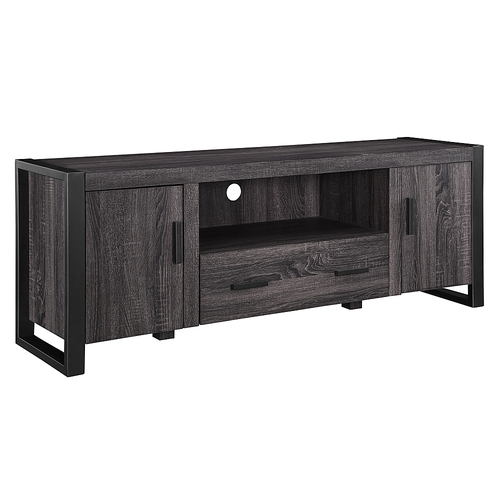 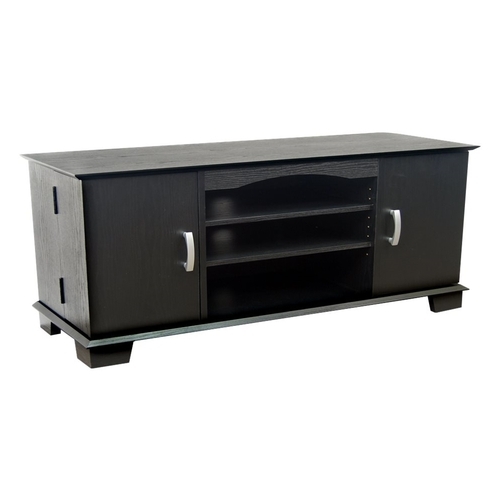 Product Name : Jackson TV Bench for Most Flat-Panel TVs Up to 60"